It requires a strong wrist, careful footing and precise aim to bombard a set of 10 blocks of maple wood with a 16-pound sphere to obtain a strike. Once a month, a group of SF State Gators gets together in teams to try their hands at this strike challenge at the Classic Bowling Center in Daly City. But these Gators are not students — they are SF State faculty and staff. About 40 Gator faculty and staff get together for the monthly bowling league created by the Campus Recreation department last spring semester in order to give them an opportunity to meet and socialize with other colleagues in a fun, nonwork environment, according to Ryan Fetzer, intramural and sport clubs coordinator at SF State. While the program is still in its pilot stage and hasn’t grown much since its Spring 2012 introduction, Fetzer said he has received positive feedback from those participating. David Wick, assistant director of the Office of International Programs, is participating in his second semester of the bowling league. He said it’s good to get together at the bowling alley with other University faculty and staff, especially with his colleagues because they work separately within the office. 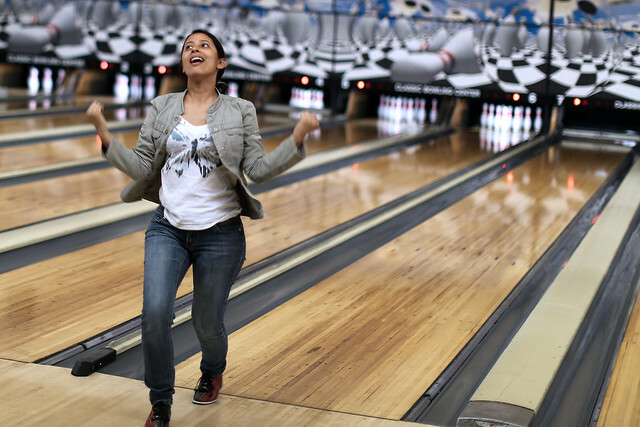 The Office of International Programs director Hildy Heath said she noticed a difference among her co-workers after participating in the bowling league together. Heath participated in the league for the first time as a substitute for the team’s captain, Noah Kuchins, Nov. 5 and was very excited to join. Seven teams representing different SF State offices and departments like the International Student Association, Residential Life, Campus Recreation, athletics department, Student Affairs and housing department and others faced each other in this semester’s third competition Nov. 5. Among them was wrestling head coach Lars Jensen, who also participated last spring when the league started. Jensen said he likes the idea of getting together with colleagues off campus to meet and engage in something as fun and active as bowling. “It’s gettin’ together, having a little bit of fun and trying to — we’re not very good — but trying to bowl,” he said. Although he is the only faculty representing the athletics department, his team, “Spare Me,” is made up of staff members from Campus Recreation and the Kinesiology department as well. Other participants, like Aaron Kitashima, administrative assistant for Residential Life and bowling team captain of “We’re Striking,” said the monthly bowling league brings back nostalgic memories from his childhood. 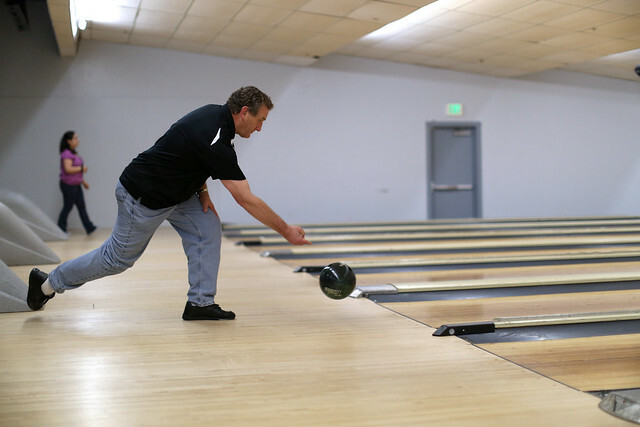 “(What I like most about the league is) being able to do something I haven’t done since I was a little kid, (which) is go out and bowl,” he said. Fetzer hopes the program will not only attract more faculty and staff members, but will also gain attention from students who would like to join in on the action. “We started as a pilot program with faculty and staff, maybe open up to students as well in the future, but we’ll have to see how it goes,” he said. Jensen and Wick agree that involving students with their league would be a great addition and would increase competition among teams.